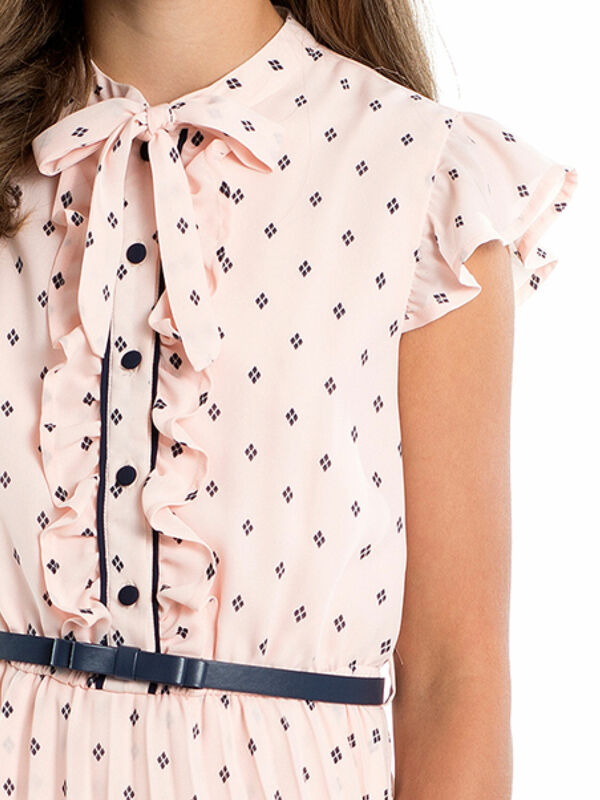 8-14 Girls Helen Dress https://www.review-australia.com/au/8-14-girls-helen-dress/RE19RK046.REPNK001.html Sashay away with this baby pink and diamond-patterned dress, featuring a playful pleated and tiered skirt. Adorned with a bow at the neckline, and gentle ruffles on the sleeve and down the front, surrounding classy black buttons, the Helen Dress is a dream for any outing. It comes fitted with a black belt that can be removed, for that extra dash of class. Sashay away with this baby pink and diamond-patterned dress, featuring a playful pleated and tiered skirt. Adorned with a bow at the neckline, and gentle ruffles on the sleeve and down the front, surrounding classy black buttons, the Helen Dress is a dream for any outing. It comes fitted with a black belt that can be removed, for that extra dash of class.